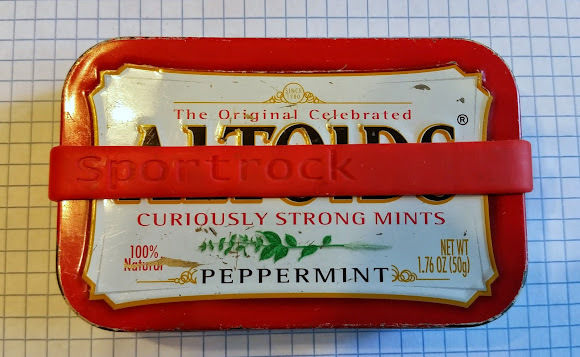 The other day I got sucked into a bunch of Altoids Survival Kit videos (see: here, here, here and here) and was inspired to give the one I carry around a refresh. Besides re-evaluating the items in it and considering what else I could stash, I wanted to see if I could make it more organized. 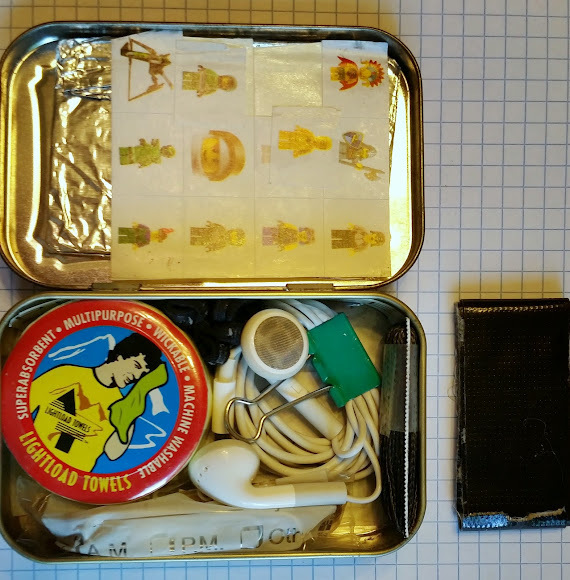 The version I was using held all the items, but take any one item, and I doomed my self to repacking the whole tin from scratch. 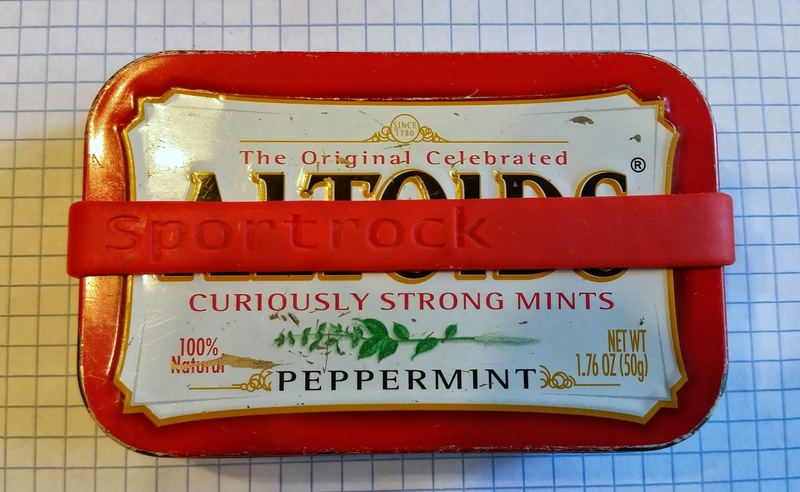 The real Altoids Tin Pros, like MeZillch and TheUrbanPrepper, wouldn't stand for this, and so I decided, neither should I. 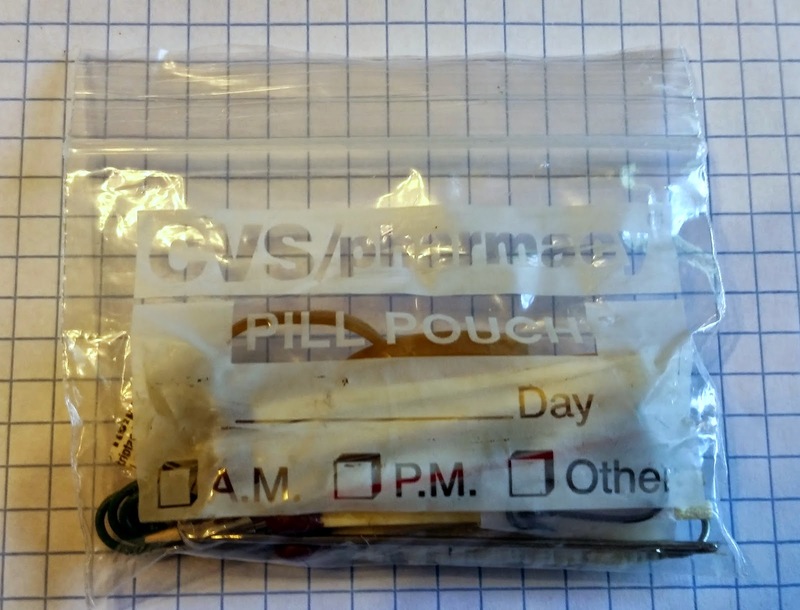 One big improvement: I stashed most of the tiny odds and ends in a CVS disposable pill bag. You know you're on your way to being a true Gear Geek when you start to wonder how you lived so long without these tiny zip lock bags in your life. Another change: I swapped a large roll of minty dental floss for a much smaller hank of plain dental floss and 100Lb test braided fishing line. Maybe one day I'll splurge for Kevlar Thread, which is rated as 400Lb test. But, I just can't justify the difference in cost. 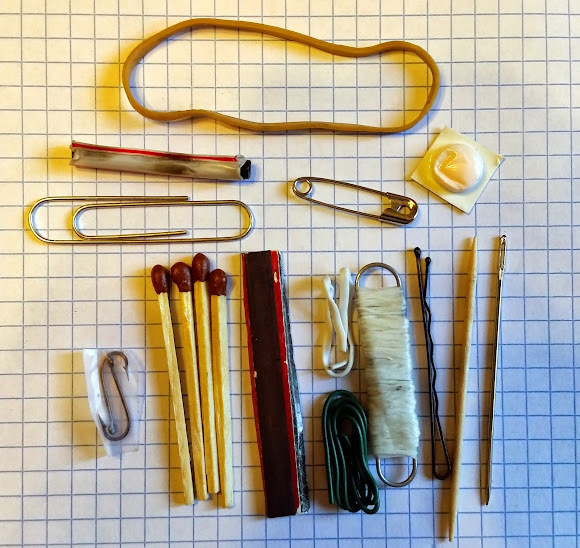 For my purposes, fishing line is plenty strong, and I used it on our most recent backpacking trip to dangle some extra pair of shoes off my backpack. Gone is the coffee filter and index cards. The Lightload Towel should do pretty much any job the filter could do. And the index cards were redundant with the notepad I carry. And I hate redundancy. The one item I took out which I'm pretty sure I'm going to miss was the 4 quarters. Not to long after I ditched them I found myself at a parking meter who's credit card swipe wasn't taking my card. Those quarters would have been handy then. But, taking them out allows everything else to fit better, so I'm living with the trade off. This last flight when I wanted to use the headphones I was pleased to find I could pop open the tin, use them, and then return them without engaging in major surgery. Hurray! 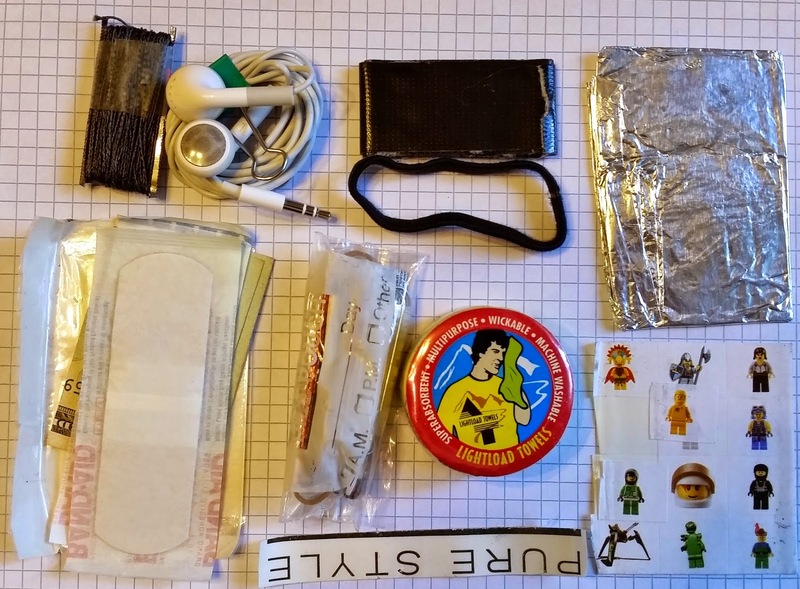 You missed the most important part: info about the Lego stickers. Where'd you get them, and why do you carry them? > You missed the most important part: info about the Lego stickers. Oh dear, I don't remember. We've had various kids in our house (being foster parents, as well as having friends/nieces/nephews/etc. around), so I'm always picking up packages of stickers. They seem pretty much universally loved by all. I don't recall when or where I picked up these lego guys, but they're just right for the tin. > and why do you carry them? Mainly as 'emergency' entertainment for whatever kid(s) we happen to be caring for. I've also left sheets of stickers in geocaches when I've found one and had nothing to share. They're also useful for marking stuff. And who doesn't love legos?